Is this better than dismember for shops? Dismember potentially kills more creatures, specially in the mirror (triski, hellkite, kuldotha... but also mentors, as stated. However this saves life and can be used as an offensive tool, I think it can replace dismember in lots of lists. This card is poop. I mean, yeah, you could throw it at someone, but you'd be better off using something that does more than smell bad if your aim is to kill them. 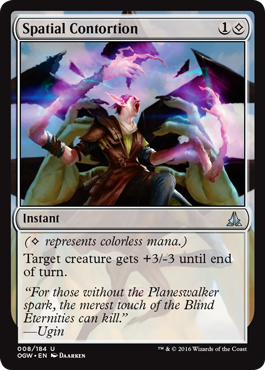 The only advantage it has over the removal that shops currently plays is that it could theoretically be also used as a bolt to the face. Only, not really, because it kills your Golems if you try to pump em. I do not like this card. 4 life for dismember adds up though, especially when you have multiple dismembers or an ancient tomb in play. Yeah, it can be rough, but when the alternative is just losing it's just what you have to do haha. My big thing with this is playing it under spheres, which it does more easily. CDawg also makes a good point that this thing is unlikely to be used as a combat trick in shops, owing to the fact that it will (generally) kill anything you were to cast it on. Also, and admittedly this is super corner case, but you couldn't cast this off a board of Tolarian Academy and Moxen. I dunno, I'm not a fan. Also, and admittedly this is super corner case, but you couldn't cast this off a board of Tolarian Academy and Moxen. I don't think this is a corner case, it seems like a lot of the mana base when you also exclude Mishra's Workshop.